SELF TIMER FUNCTION – With the Self-timer function, you have the ability to plan your selfies and/or group pictures. This feature gives you more flexibility to take the picture exactly how you want it. GREAT PICTURES – The built-in strobe flash and high-quality 2ft to infinity lens make sure you always get a great picture. All you have to do is push the button. SIMPLE, EASY TO USE – With only a few buttons and a simple, intuitive design, it’s easy enough for a child to use (no matter how old you are). 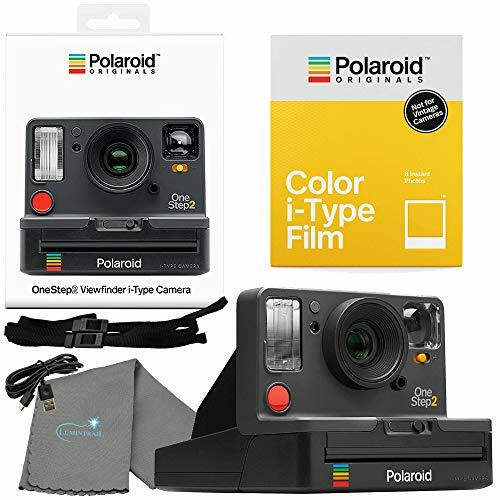 This camera allows everyone/anyone to create memories with it which makes it the perfect gift. Works with both i-Type and 600 film.